I am not the ruler of Gujarat, I'm a servant of Gujarat. The environment in which I grew up, sewa is treated as a dharma, not power. Narendra Damodardas Modi (born 17 September,1950 in Vadnagar) is the 15th Prime Minister of India. 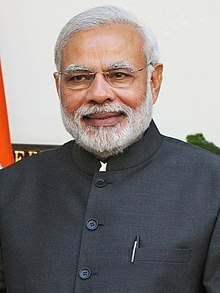 Modi is leader of the Bharatiya Janata Party (BJP), was the Chief Minister of Gujarat from 2001 to 2014 and is the Member of Parliament (MP) from Varanasi. My philosophy is to use the stones hurled at me to make a bridge for myself; I believe in proving my critics wrong through my work. I keep saying, the more muck you throw at me, the brighter will the BJP lotus bloom. That is the nature of the lotus, it rises out of keechhad (slush) to create exquisite beauty. I did not become the Chief Minister of [Gujarat] on 7th October 2001. I have always been a 'C.M. ', I am a C.M. today and will remain a C.M. tomorrow because by 'C.M.' I mean common man or Aam Aadmi. It is my conviction and shraddha (faith) that even on economic issues, Gandhi is relevant even today... So in every aspect of my social reform efforts, you will see the imprint of Gandhi... I bring every little aspect of Gandhi ji’s life into my work... This is part of putting our traditions and Gandhian values to creative use. Mahatma Buddha has also left a deep imprint on my life... In Buddhism, I see dharma entrenched in karuna (compassion). I believe compassion is the most valuable essence of life. When I formed the government, these values got ingrained even deeper. What attracts me about Buddha is his inclusive philosophy; secondly, his modernity; and thirdly, his belief in the importance of Sangathan—the idea of Sangha. Narendra Modi (2001), cited in Kumar Pankaj (2014) Namo Mantra of Narendra Modi. Chapter "Narendra Modi—A Common Man". Narendra Modi's comment after being appointed the Chief Minister of Gujarat on 7 October 2001. It is our endeavour to remove all kinds of divides—those between the high and low, touchables and untouchables—as well as other aspects of discrimination which have filled people’s hearts with conflicts and divided the entire humanity into fragments...Rishi Valmiki taught us that in order to make progress in society, you have to take along Shabari with you; if you want your society to progress, you have to ensure that even vanars stand by you. If you want to move ahead, you have to embrace Kevat. ...We have come together at this place to express our commitment to follow his message. The West believes in Goebbels. Speak a lie 100 times and it will become a truth. I am brought up in a civilisation where Satyameva Jayate is taught. (Source). (27 August 2002). Modi election campaign speech, published in Sanjh Times, 19 February 2002; Cited in: Madhu Purnima Kishwar "Modi’s First Election from Rajkot in February 2002". Chapter 8. Modi, Muslims and Media—Voices from Narendra Modi's Gujarat, on manushi.in. Accessed 27 April 2014. I've not come to defeat or to put down anyone... I've come to win the hearts of the people of Rajkot. Please ask Congressmen whether their candidates are in favour of running illegal butcher houses? Do they want to protect the hapless animals or the butchers? Interview given to Rediff, "'The BJP is unstoppable'" (27 August 2002). I have allowed the media to behave as it wants. [...] I am not worried. The truth will certainly be known. As far as the BJP is concerned, our belief has been the same for years. Justice to all, appeasement of none. We cannot support divisive politics. We strongly believe in President A. P. J. Abdul Kalam when he says we need 'unity of minds'. People who played the politics of appeasement have ruined the country, not us. Blame them. I have always criticised violence in my speeches but the way the trouble in just two per cent of the area is blown up and used against us should be countered. Arundhati Roy paints Gujaratis as rapists and then goes scot-free by apologising. Isn't it an insult to Gujarat? In Gujarat, the poison of casteism was injected in the name of the KHAM [Kshatriyas, Harijans, Adivasis[,] and Muslims] theory. Gujaratis rejected it and turned towards the unity of society. Casteist forces have been rejected in Gujarat, the people's mood is anti-casteist. In this country we do have a justice system. In this country you buy an argument when someone claims that just because a few karsevaks didn’t pay the money for the tea they bought, it led to the torching of the # S6 compartment. This is possible and you consider it valid. But when the police investigates the case and puts forward the case, you consider it invalid. Don't you have a biased mind? All over the world you circulate the e-mail narrating a fictitious event which claims a girl was abducted on the platform, she was raped and that lead to the torching of S6. You can show that within just three minutes all this is possible. For people like you the question should be: Whom do you trust? Narendra Modi on state television on 28 February 2002 (Original video on YouTube). Partly cited in Madhu Kishwar ""When select phrases are lifted and distorted out of context" at Manushi.in: Statement issued by Narendra Modi in the immediate aftermath of the Godhra train burning and during the outset of the ensuing 2002 communal violence. For any humanist such an incident would cause indescribable grief. But at the same time creating disturbances (ashanti)[,] indiscipline[,] and expressing outrage (akrosh) is not the solution. Won’t you help the [g]overnment in saving Gujarat? Won’t you help us in maintaining peace and harmony? The Government of Gujarat appeals to you for help, appeals to you for shanti (peace) and sanyam (restraint [or] self-discipline). Let us serve Gujarat by maintaining shanti and sanyam. Let us strengthen the arms of law. I understand your anger and outrage, I understand your pain. And yet in the self-interest of Gujarat, and to ensure that we don’t jeopardize the future of Gujarat, that Gujarat doesn’t get a blot on its face [or] carry a stigma connected with these times all the 5 crore Gujaratis need to keep calm and exercise self-restraint. I want to assure the people that Gujarat shall not tolerate any such accident. The culprits will get full punishment for their sins. Not only this, we will set an example, that nobody not even in his dream, thinks of committing a heinous crime like this. Essay issued by Modi several months after the death (on 9 September 2006) of Vishwa Hindu Parishad (VHP) leader K. K. Shastri, reproduced by Aakar Patel, First Post, "Modi's mentors: K. K. Shastri, the scholar who helped save the Gujarati language". After the Godhra incident and the subsequent riots, Shastriji was head of the Gujarat VHP. He was a firm advocate of Gujarat's welfare. In a newspaper interview he said TV channels and national newspapers had spoiled Gujarat's image after the riots. By not speaking of the Godhra incident but only of the riots that followed, they had damaged Gujarat before the world. These channels would be damaging to Indian culture, he said. With a great deal of courage, Shastriji had rallied the Hindus. Hindus were tolerant, he said, and would remain so. But tolerance didn't mean they wouldn't defend themselves. Looking at the terrorism that had been encouraged to spread in the last few years, Hindus would have to be aware of their need for self-defence. Else the coming days would be dangerous for them. Shastriji had digested the message of the Gita. Some of us have memorised it in full and spout couplets from it at will. But I learnt of what it meant for someone to have actually digested it from Shastriji. They [the Congress] are trying to save the party, we are trying to save the country. This is the basic difference between us. (Source). Interview with Karan Thapar, quoted by Rediff, "Modi walks out of TV interview after being quizzed on riots" (20 October 2007). We don't just need bills, we need political will and a dil [heart]. We have heard enough of Acts, what we need now is action. We do not need doles, we need delivery. (Source). Quoted in Business Today, "Supersize Gujarat". One-word SMS invitation sent to Ratan Tata in the immediate wake of Tata Motors' pullout from Singur, West Bengal on 3 October 2008 after 28 months due to agitations led by Mamata Banarjee against the state's forcible acquisition of fertile private farm land. After negotiations, the proposed car plant was instead built within 14 months in Sanand, Gujarat, on land voluntarily acquired at quadruple the per-acre market price. Speech 14 January 2008 (on YouTube). Speech commemorating the 38th anniversary of Thuglak. He said that, uh, there is an allegation that you have won elections on a communal card. I said, there are so many media persons here, they are not noting, but now they've started. You see, this is the tragedy of the country. Because when I was talking about development, they were not ready to note even! Now do you understand why I love Cho? I gave a reply: that my election speeches are available with the election commission. My statements are available in the newspapers. If you will find out a single statement that you can brand as communal, I will declare myself defeated. No one dared to come forward. What do you mean by communal? If I speak against the terrorism, is it communal? I do not know the meaning of the secularism. Yet I do not understand. Of course the dictionary meaning is absolutely different. There was a time when people were talking about the secularism, they were about the simply [sic] religious harmony. Slowly it changed the colour. Then, secularism means a lip sympathy to the minorities. Then slowly the colour changed. Then, secularism was [...] means appeasement to the minorities. Then the secularism changed the colour. Focus only on the Muslims' votebank in the name of secularism. Then the secularism changed the colour. Then, hate Hindu means secularism. In this type of the [...] every five years, the secularism is changing the meaning. So now I am thinking that I must come with a new meaning of the secularism. For me, development gives strongest foundation to the secularism. Nowadays, there is a new trend that has started. Up to [assembly election] results, they were targeting Modi. Now it is very difficult for them to target Modi. So now you must have read so many articles, so many discussions on the TV: "there's something wrong with the people of Gujarat". This has the [sic] started! You are lucky, that Modi is not here [in Chennai]. Otherwise they will blame you also. Otherwise they will blame the people of Tamil Nadu are not good, that they have, they are going to listen [to] Mr. Modi! The reality is different. They are so matured as far as democracy is concerned, they rejected the color TV [promised by Congress]. They rejected the color TV, and they accepted a person who says that I'll serve the notice [to tax evaders]. And this is the strength of the democracy. And I have advice to the each and every political party. When you are in the office, don't target for the next election. Just try to win over their heart. Election may be the byproduct. In last five years I never tried for the election results. Never. I was never thinking about the elections. I was never talking about the elections. But of course, I was very, very conscious [that] I want to win the heart of the people. And this election was simply a byproduct. We have a Gujarat State Wide Area Network. The optical fibre network. We are [the] largest in Asia, number one. We are number one in Asia. And we are second largest in the world. Can you image how we are using the technology? And that's why in my Gujarat, my motto is: minimum government, maximum governance. You [media persons] remember what we do for two days out of two years, but where the [Gujarat] government travels to the countryside for a month every year and promotes agriculture, you are not interested. The result of such attitude is that the Manmohan Singh government's targeted [annual] agricultural growth [rate] of four per cent is stuck at 2.5%. The [year-on-year] agricultural growth in my Gujarat is 14%, but no one looks at it. (Source). Interview in: "'The nation is waiting for a strong, experienced leader'," in: Rediff.com, 8 April 2009. It's very simple, Dr[.] Manmohan Singhji in reality is not a leader, and he has himself said that he is not a leader. The nation cannot be ruled by an academician, it can be run only by a leader. What was Indiraji [Indira Gandhi]'s education was never an issue, but she was a leader. (P. V.) Narasimha Rao was a leader. Only those who know the pulse of the nation can run it. Lal Bahadur Shastri knew the pulse of the nation very well, which is why he was able to leave his imprint on the nation in such a short time. Atal Bihari Vajpayee knew the pulse of the nation, Morarjibhai [Morarji Desai] knew the pulse of the nation, Chandra Shekharji was a mass leader. We also had [H. D.] Deve Gowdaji who had never left Karnataka, Indra Kumar Gujralji thankfully never made any claims. Manmohan Singhji is like that. That is why I say the nation needs a leader. Dr. Manmohan Singh has not even visited all the states in the five years of his prime ministership, while Advaniji is a leader who has, at some point in time, spent a night in our 400 districts. He knows the entire land, there is not a stain on him, he is blemishless, has vast administrative experience having served in various [c]abinets, and fulfilled his responsibilities to everyone's satisfaction, whether it was as the chief executive of the Delhi metropolitan council or as information and broadcasting minister or deputy prime minister. Advaniji rose from the ranks to become a mass leader, there's a world of difference between the two. There is a saying 'justice delayed is justice denied'. Everyone knows of it, you do too. I have done three major things in Gujarat. I have increased court hours by 30 minutes every day; reduced court vacations by seven days; started evening courts with the same infrastructure. We had 45 lakh cases pending from 2003–2004, to which 65 lakh new cases were added, making it more than one crore pending cases. After our initiatives, there are only 20 lakh pending court cases. Now my target is that by 2010, when Gujarat will complete 50 years, we will make it no-pendency. Cases will be disposed of in the very year they are filed. You tell me, since Independence, in the field of justice delivery, has so much work been accomplished anywhere? But, for news traders, these things perhaps are not saleable. Now you tell me if these things are pro-poor or not. Those of you who are not playing should go to the venues and encourage the athletes. Breathe in their passion, their dedication and their determination. Victory and defeat are not the only aspects of sports. What is more important is the healthy atmosphere of sportsman spirit and this is what we seek to do during the Khel Mahakumbh, with the [m]antra of Ramshe Gujarat, Jeetshe Gujarat [Gujarat will play, Gujarat will win]. (Source). The law of nature is that Truth alone triumphs—Satyameva Jayate. Interview with C. S. S. Latha of Society Magazine; Reproduced by NDTV, "Narendra Modi on politics, poetry and Rahul Gandhi as PM" (16 September 2011). I am not religious. I go to the temple on the Gujarat New Year day. I can't claim to be spiritual because it's a very profound epithet. But, I like it when I get to read or hear anything related to the spiritual world. I have been practicing yoga and meditation for many years. Detachment is something I believe in practising for my spiritual self. 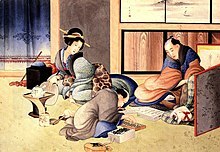 In fact, with great difficulty, I have torn myself away from pursuing mendicancy in totality to be a part of this world. The call of the Himalayas has been put on the back burner. When the time is right, it is like crossing from one room to the other for me. You will be surprised to know that despite having lived in this house for 10 years now, until of late, I didn't even know how the entire house looked. I only used spaces like my office, bedroom, dining room and the study. Only when recently there was a move to relocate my library did I take a tour of the rest of the building. That is what I mean by detachment. And, what makes me angry? That's the problem. I don't get angry, but have to enact anger in order to get work done. After being the CM for two consecutive terms, I had two desires. One was to unearth my childhood friends with whom I had completely lost touch. One day, I sat up and listed all the names I could remember. I remembered them all but had lost track of their whereabouts. Some 35 names popped up. I wanted to invite them to the Chief Minister's residence and share my childhood with them and also because I wanted to remind myself about the real Modi lest I lose sight of him. So, I spent time with my friends getting down-to-earth. They too felt that if I remembered and spent time with them after having reached where I have then I must be fine. So, that was my test. The other desire was to get together all the teachers in my lifetime and honour them. One of them was 93-years-old. I invited them here and organised a big function to honour them. It gave me immense happiness that I was able to honour and say thanks to those who have contributed their might in shaping me. So, I fulfilled both my desires and I am happy about it. These elections are going to be very different; calculations of political Pundits will go wrong. Political Pundits measure things but if they cannot gauge the mood of the people then their calculations will not be correct. (Source). [...] the [Indian] cat will become a tiger [under Modi] [...] This is why [the US] is trying to create a fear psychosis about Modi. But, we Indians must welcome this and be happy that the US is getting scared of India. Modi will change the image of a docile Indian cat[.] (Source). I am constantly trying to find solutions to the problems of the nation. However, our opponents are engrossed in finding a solution to Modi. This mentality can never benefit the nation. My work never ends. I am a workaholic. Other than sleeping and eating, I spend all my time working for the people.... So you see, I cannot sit still. To me I am a worshipper and the people are my god. Read, read the truth. Go back and read whatever is available and then judge me. Support me only if you think I am right. You can shake someone from a slumber of ignorance by telling him the truth. You can discuss the conversation we had with your friends and share the experience, and then shape you own viewpoint. India needs youth power. And make India stronger. Never manipulate things. Try to serve the society. Awaken your community. Always try to see things with your own eyes and judge them accordingly. Modi’s reply was that my husband could hold any opinion he wanted, but Modi would like him to build the best law [u]niversity for Gujarat. He wanted a professional. Youngsters inspired by Maoism have taken the gun and are spilling blood on streets, but our land needs the colour of progress not the colour of blood. Maoists must not have the gun in their hands, instead they must have agriculture tools and pens so that they can serve others. Raasta kalam, hal aur pasine ka hai, khoon ka nahi. Answers given by Modi after being told that he is "viewed as anti-Muslim" in an interview with a Japanese news outlet (23 July 2012). How can you come to this conclusion? Do you have any statement in my whole life [in which] I've ever said anything wrong against any religion? Any religious book? Any prophet? Any god? Do you have any single sentence? How one can be "anti"? And, I belong to the Hindu phil [...] and I belong to the India, the Bharat! Where our great traditions are there. What is our philosophy? We never say that "if you believe in my philosophy, then you will achieve your goal". What we say [is] that ekam sat viprah bahudha vadanti: "truth is one, [but] sages call it in a different way". So we don't believe. We believe in one god. God is one. We don't say that [the] Hindus' god is separate, Muslim god is separate, Christian god is separate. This is not our philosophy. We believe [the saying] vasudhaiva kutumbakam: "whole world is family". This is in our DNA. This is in our genetic system. I belong to a culture which culture says "the whole world is one family". How can we hate any community? Even any person? It's impossible! Yes I have spoken on Gandhi ji’s Vaishnav Jan bhajan at many places. In fact, I used to deliver hour-long speeches describing why Gandhi ji loved this bhajan. If we think carefully and dwell on each word of this song, composed 500 years ago, we will find that everything said in it is still relevant, especially for our public life. He speaks against corruption and importance of personal integrity. In short, it is a manifesto for public life and morality. So, I worked around the words and would say: ... "A people’s representative is one who feels the pain of others; one who removes the sorrows of others and yet does not let a trace of pride or arrogance come into his heart." This used to be part of my worker development programmes. I used to analyse each line of this bhajan and explain why Gandhi ji promoted these values in public life; it contains all the wisdom you need for public life. It is a great misfortune for our country that this bhajan is played only on October 2 at Rajghat. It should have become an instrument of inculcating moral values. Gandhi ji liked this bhajan because Gandhi’s DNA and the elements of this geet match each other. I hold it up as a model of conduct for our party and RSS workers. In the RSS, there is an old tradition of remembering this bhajan every morning. Their pratah smaran (morning remembrance) starts with Gandhi ji’s name. 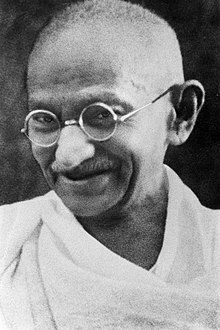 It is my conviction and shraddha (faith) that even on economic issues, Gandhi is relevant even today.... So in every aspect of my social reform efforts, you will see the imprint of Gandhi.... I bring every little aspect of Gandhi ji’s life into my work. In social forestry, that is, in planting trees outside forest areas, Gujarat is number one in India... We have also incentivized every village to have a panchvati (a green belt drawing its name from the forest in which Ram, Lakshman, and Sita lived during their years of exile).... This is part of putting our traditions and Gandhian values to creative use. Mahatma Buddha has also left a deep imprint on my life. In my personal room also, there are three-four statues of the Buddha.... In Buddhism, I see dharma entrenched in karuna (compassion). I believe compassion is the most valuable essence of life. When I formed the government, these values got ingrained even deeper. What attracts me about Buddha is his inclusive philosophy; secondly, his modernity; and thirdly, his belief in the importance of Sangathan—the idea of Sangha. This underlies all his philosophy. I would often wonder how Buddha managed to reach all over the world. What was it about him that lit sparks everywhere he went, took ordinary human beings towards their kartavya (duty) and appealed to the lower status groups as well? Buddhism does not have too much tam-jham or celebration of big utsavs. There is a direct connect of the individual with the Divine. That entire thought system touches me deeply. Moreover, wherever Buddha went, the region witnessed prosperity. Even though China had a different belief system but Buddha has maintained his influence on China as well. Recently, I went to China and found that their government was introducing me to Buddhist elements of their culture with great pride. I got to know that China is making a film on Hiuen-Tsang. I took a pro-active role and wrote to those people saying that they should not forget the part about his stay in Gujarat. Hiuen-Tsang lived for a long time in the village where I was born. He has written about a hostel in that village where 1,000 student monks resided. After I became chief minister, I got the area excavated and found archeological evidence of things described by Hiuen-Tsang. This means Mahatma Buddha’s philosophy would have had some influence on my ancestors. When the Sachar Committee members met and asked me, “Mr. Modi what have you done for Muslims in Gujarat?” I told them: Nothing, I have done nothing for Muslims. But please go on to note that I have done nothing for Hindus or Jains or Sikhs either. I am responsible for 5.5 crore Gujaratis and whatever I do, is aimed at serving the interests of all these 5.5 crore people of my state. When the pure waters of Narmada flow into Sabarmati on account of our river linking project, do you expect me to measure how many litres are consumed by Hindus and how much water goes to Muslim households? My job is to ensure that every person, every household gets adequate supplies of clean drinking water. Please don’t expect me to adopt your divisive terminology and vision. "Satyameva Jayate: Truth Alone Triumphs" on narendramodi.in, 27 December 2013; Statement issued in response to a 350-page court verdict which accepted the 541-page closure report, issued by an investigative panel appointed by the Supreme Court of India, concerning Modi's actions during the 2002 violence. The law of nature is that Truth alone triumphs—Satyameva Jayate. Our judiciary having spoken, I felt it important to share my inner thoughts and feelings with the nation at large. Rally in Muzaffarpur, Bihar, quoted by First Post, "Modi welcomes Paswan to NDA: 'National Development Alliance'" (3 March 2014). I don't do anything in a vindictive manner. Look at my 14-year track record in Gujarat. People don't vote me to power to take revenge. Interview with media outlet, quoted by First Post, "People don't vote me to power to take revenge: Modi" (16 April 2014). Towards the end, I asked him if he wanted to give any message to the youth of the country. Mr. Modi replied, "Read, read the truth. Go back and read whatever is available and then judge me. Support me only if you think I am right. You can shake someone from a slumber of ignorance by telling him the truth. You can discuss the conversation we had with your friends and share the experience, and then shape you own viewpoint. India needs youth power. And make India stronger. Never manipulate things. Try to serve the society. Awaken your community. Always try to see things with your own eyes and judge them accordingly." Sultan Alimuddin, Manushi, "My tweet to Narendra Modi" (4 February 2014). Interview with Smita Prakash of Asian News International, "'I was not silent on Gujarat riots,' says Modi" (16 April 2014). If the media would not have worked to malign Modi, who would know Modi today? Interview answers translated by Madhu Kishwar, Manushi, "Narendra Modi on the Role of NDTV during the 2002 Riots" (8 April 2014). It was my endeavour that we restore peace at the earliest possible. If you look at the data you will see that in 72 hours we had put down the riots and brought the situation under control. But these TV channels kept on playing up the same incidents over and over again. At the time, Rajdeep [Sardesai] and Barkha [Dutt] were in the same channel NDTV. During those inflamed days, Barkha acted in the most irresponsible manner. Surat had not witnessed any communal killings, barring a few small incidents of clashes. However the bazaars were closed [as a precautionary measure]. Barkha stood amidst closed shops screaming "This is Surat’s diamond market, but there is not a single police man here." I phoned Barkha and said, "Are you providing the address of this 'unprotected' bazaar to the rioting mobs? Are you inviting them to come and create trouble there by announcing that there is no police here so you can run amok safely?" In a second incident in Anjar, she played up the news that a Hanuman mandir [temple] had been broken and vandalized. I told her, "What are you up to? You are in Kutch which is a border district. There you are showing the attack and destruction of a mandir. Do you realize the implications of broadcasting such news? We haven’t yet recovered from the earthquake. Have you actually done proper investigation into the riots? Why are you lighting fires for us? Your news takes a few minutes to broadcast that such and such place is unprotected or a mandir has been vandalized. But it takes for me a few hours to move the police from one disturbed location to another since these incidents are breaking out in the most unexpected places." When the fires were raging these journalists were pouring fuel on those fires. On that day I had put a ban on TV channels because they were actually provoking trouble. But it was only for one day. Since Rajdeep Sardesai was among the leading reporters covering the disturbances, I phoned him to say, "I will have to put a temporary ban on your channel if you continue with the provocative coverage. There is a well-established regulation that media should not name communities during communal riots nor identify a damaged place[s] as a mandir or masjid. Why are you violating that code and [established] protocol about not naming communities or identifying places [...] of worship? You are going against established norms." Interview with Rajat Sharma and audience members on Aap Ki Adalat, aired and translated by India TV, "Read full interview of Narendra Modi to Rajat Sharma in Aap Ki Adalat" (14 April 2014). I had started the campaign from 15th September. So now it’s 6–7 months since I started the campaign. I am a laborer and my childhood was very tough and physically I am used to all this. I also do my [y]oga and [p]ranayam. But the important point is that I believe you never get tired by doing work. You get tired when you don’t work. When you clean your house, you don’t get tired, it gives you satisfaction. People’s blessings give you the power to work tirelessly. The only thing required is commitment. The love and affection that I have received from people in last 6 months keeps me running. He should have remembered, there was [an Islamist] attack on Akshardham temple in September 2002, so many people were killed inside the temple, yet Gujarat maintained peace. Gujarat maintained peace even after serial blasts. There was a time when Gujarat used to have riots over kite flying and cricket matches. Gujarat has not witnessed riots for last 12 years. The children of Gujarat don’t know what is curfew all about? Gujarat has progressed because of peace and harmony. And this is what the nation needs for growth as these things will have catalytic effect in achieving that. We have always focused on degrees only. Now is the time to focus on skill development that will bring employment to our youth. If we have to compete with China then we have to focus on three things—skill, scale and speed. We need better skill, greater scale and faster speed. Interview with ABP News, "Full text in English: GhoshanaPatra with Narendra Modi" (22 April 2014). Until I don’t lose, until I am not defeated such allegations will continue. People who have been trying to defeat me for the past 12 years have been using all their strength. They couldn't give me even a scratch. This is their ego problem. I never proposed my candidature for anything or for any post since I have been born. Decision [regarding] me is taken by BJP. I have never asked for my position, never snatched or done any kind of scheming. Whenever I have been bestowed a work I do it with full dedication, hard work and have sacrificed my life for it. What is our aim, aim of the people is to eradicate this current government. That happens then the aim is fulfilled or else there is no win. If due to environment businesses flop then we don’t look at religion involved in it right? We worry about environment; similarly we have to look at the rural economy. So country’s problem is not Modi but a "stagnated perverted mindset". They want to take every issue to that one [communalised] corner. Till 2007 I have responded to everyone to all questions asked. You can read it in print media, electronic media. Yes, in 2007 when UPA again tried to take all legal routes to drag me to court then I stopped talking as I didn't want it to influence the issue because of Supreme Court ruling. Has any [other] CM been grilled for 9 hours? SC has seen the tape as it ordered the questioning. I have been through all those hurdles and I am ready for it. Modi won't surrender to such false political intentions. I think this is a very dirty question [asked about Robert Vadra]. On one hand, no one is above the law. Suppose there is an allegation against Narendra Modi, and suppose tomorrow Narendra Modi becomes the Prime Minister, then should the case against him be initiated or not; just because I became the Prime Minister everything be closed. It cannot be like that, right? I am not above anyone. But I am talking about myself here, not the person you asked about, don’t mix it up, I am sure you won’t play the news trader gimmick. I have 14 years to experience of running a government. I tell you, I have never opened anyone’s file ever. It is my opinion that I got involved in all that then I would just have gotten more lost in it and would have been unable to do any good work. This is my personal opinion, I am not telling this as a government policy. I have separated myself from all this in 14 years and gave support only to new positive initiatives. I am not even aware of them, they are old things and must be in progress, the government knows it’s work. We come in for five years, if we start lugging this garbage [e.g., old corruption cases] around then when will we [have time to] do some good work[?] So it is my opinion that my energies not be wasted in garbage. My energies should be directed towards good constructive work. Five years is very little time, if we get caught elsewhere then how will we do any good for the country. Rest [of] the law [e.g., the judiciary] should take its own course. See, you asked the wrong question. What is good or bad is not my issue. If you pick up things from every nook and cranny and demand answers from me, then aise kaam kaise chalega [how will we manage]. Whatever my party’s official stand is, I reflect only that. My work never ends. I am a workaholic. Other than sleeping and eating, I spend all my time working for the people. Even today, I have just come from the airport, the whole day I was in Chhattisgarh and Maharashtra. I held three meetings but when I left Jalgaon I found out that there is a huge storm. So started to check from there itself, what the condition is, if there were any casualties, if there had been any loss. This I why also got late in reaching here. So you see, I cannot sit still. To me I am a worshipper and the people are my god. Swami Apasthanand is still there, he is very old now, but I had gone to see him and stayed with him for quite some time. But it is a different world, why get into it here. The country does not function with sharpness, it functions according to the constitution, and it will continue to function according to constitutional integrity. Sharpness is for elections only, not for running the country. I just don’t get the time [to watch films], earlier I used to watch. Once I saw Paa on its launching with Amitabhji, and once with Anupamji I saw A Wednesday!. These two films in the past 10 years, and a film [that was] made on Swami Vivekanand on his 150[th birth] anniversary, that I saw because I also worked to make it successful. [...] It was good. It is good for giving a message to the young generation, on an international level too. I liked that they did not show any miracles but kept it simple, the story of a social worker. Usually I get up at 5, it’s a habit I have had since I was in the RSS. I don’t need much sleep, three hours is enough for me. My friends and my doctors complain that it is too less, but it is sufficient for me. You can see, I have worked all day but even now I am sitting here easily talking to you. Translated excerpts from a victory speech by Modi published by Firstpost, "Election results 2014 LIVE: 'The era of divisive politics is over', says Modi in Ahmedabad" (16 May 2014). From the time, I have been in politics, your love has kept me going. All Guj[a]ratis have all right on me, but you have now shared that right with the people of India." "It's the first poll in my political life when I didn't have political sabha in Ahmedabad. I will never let down the faith you have shown in the BJP, the words of our workers and me. The rivals were busy mudslinging but the people of India have said that the answer to their problems is vaikaas [development]. Those who criticised me didn't know Modi is such a magician who also made them speak on important agendas. But all these discussions also told the country that only development can save the country. Even if they spoke about Gujarat negatively, they still spoke about development. There is only one medicine to all problems—development. In 2014, one of the key agendas of the BJP’s election campaign was highlighting the dismal management of the Indian economy, ironically under an ‘economist’ prime minister and a ‘know-it-all’ finance minister. We all knew that the economy was in the doldrums but since we were not in government, we naturally did not have the complete details of the state of the economy. But, what we saw when we formed the government left us shocked! The state of the economy was much worse than expected. Things were terrible. Even the budget figures were suspicious. When all of this came to light, we had two options – to be driven by Rajneeti (political considerations) or be guided by Rashtraneeti (putting the interests of India First)... Rajneeti, or playing politics on the state of the economy in 2014, would have been extremely simple as well as politically advantageous for us. We had just won a historic election, so obviously the frenzy was at a different level. The Congress Party and their allies were in big trouble. Even for the media, it would have made news for months on end. On the other hand, there was Rashtraneeti, where more than politics and one-upmanship, reform was needed. Needless to say, we preferred to think of ‘India First’ instead of putting politics first. We did not want to push the issues under the carpet, but we were more interested in addressing the issue. We focused on reforming, strengthening and transforming the Indian economy. The details about the decay in the Indian economy were unbelievable. It had the potential to cause a crisis all over. In 2014, industry was leaving India. India was in the Fragile Five. Experts believed that the ‘I’ in BRICS would collapse. Public sentiment was that of disappointment and pessimism. You said I am not a challenger this time. That is not true. I am a challenger who is fighting against those things that harm India. Corruption weakens our country from within, I am challenging it. Dynasty politics weakens our democracy, I am challenging it. Terror threatens our nation’s very existence, I am challenging it. ‘ Chalta Hai’ attitude held our nation’s progress hostage for a long time, I am challenging it. Forces of negativity try to obstruct an aspirational India from rising, I am challenging them. The people of India too are challengers. Along with us, they too, are fighting parties like Congress that want to take India back to the era of corruption and loot. 2014 was a mandate for hope and aspiration, 2019 is about confidence and acceleration. 2014 was about some immediate needs the country had, 2019 is about what India wants! We have empowered aspirations and facilitated the innate appetite for upward mobility that is in our people. We took obstacles out of the people’s path and instead, enabled them. I think any such analysis must take into account the intelligence of the people. People’s ability to understand the arithmetic and the logic behind the coming together of the Mahamilawat (great contamination) parties should never be underestimated. People know exactly why they are coming together, no matter how much these parties themselves try to mislead. There was a time when many different parties did come together to fight an election. This was the Emergency era when survival of our democracy was first priority. So, when many parties united, there was a clear issue that brought them together in national interest and people blessed them. What is the uniting factor for the Mahamilawat now? Personal survival and personal interest. People are aware of this and will reject such opportunism. It was deshbhakti which inspired Gandhi ji’s freedom struggle. It is deshbhakti which is powering the Swachh Bharat Abhiyan. It is deshbhakti which is powering the movement to ensure smoke-free lives to women. It is deshbhakti which is powering the movement to give houses to all the poor in India. It is deshbhakti which is powering the movement to provide electricity to all homes. Deshbhakti is not a disease. Just as hyper-secularism was invented to strike at the root of India’s culture and ethos, similarly the terminology of hyper nationalism has been invented to portray deshbhakti in poor light. On humanitarian grounds, it is India’s moral duty to accommodate such people who have no place to go. I want to ask those who talk of minority rights, is it not our moral duty to provide a helping hand to persecuted minorities in our neighbourhood? We are concerned about all minorities who live there… whether Christians, Parsis, Jews, Sikhs, Buddhists or Hindus. The atrocities against these minorities are forcing them to flee to India. This has been the situation since 1947. They have no rights. We will have to come up with a solution. Fortunately, neither me nor the people of India have a coloured vision. People are clear in their minds on putting the nation first. In fact, now they are even clearer when Congress has shed its ‘ mukhauta’. The difference between Congress and BJP cannot be more apparent... We stand with Kashmiri Pandits, they stand with those who want two Constitutions and two PMs in the country. We stand to protect and preserve national integrity, they stand to protect those who are guilty of sedition. We stand to ensure quality health to women and children, while it is proven that they loot the money meant for women and children. We stand for democracy, they stand for dynasty, we stand for India First, they stand for Family First. America is scared of Modi because he is incorruptible. The Congress Party and the Left have studiously built a demonology around Narendra Modi alleging that, from the moment he took charge as CM, he began his mission to polarise Gujarat on religious lines and orchestrated the 2002 riots in order to consolidate Hindu votes and force Muslims to live as terrorised second class citizens. .... Before I undertook this study, I too was inclined to think that Modi kept Gujarat riot-free after 2002 only because he learnt that the 2002 riots had boomeranged on him. However, when I looked closely at Modi’s tenure from the moment he took oath as chief minister on October 7, 2001, I realised how completely off the mark I had been. The Congress Party got into panic because Modi refused to live up to the negative stereotype of a rabid Hindutva-vaadi leader who spat fire at the Muslims or Christians. He was neither speaking the language of phobic nationalism, nor mobilising any caste or community vote bank. The way he introduced transparency made it difficult to accuse him of personal corruption, nepotism, or incompetence. Modi’s development agenda had, in fact, depolarised the politics of Gujarat. In every speech that he delivered, in every programme that he unveiled, he addressed all the five crore people of Gujarat irrespective of religion, caste, or creed. And yet the entire spectrum of national media, both print and television, put their services at the disposal of the Congress and the Left parties to launch a tsunami of misinformation peddled by NGOs against Modi and made him into such a hate-object that no one, including the BJP, dared defend Modi firmly. All his good deeds were systematically brushed under mounds of lies they fabricated. No one wanted to give him a hearing. ...With eminent academics becoming part of the demonisation campaign, even young scholars kept away from the state.... That is how the web of deceit constructed by NGOs under the guise of defending minorities became not just the dominant but also the only acceptable narrative on Modi and the 2002 riots. Zafar Sareshwala recounting his 17 August 2003 meeting with Modi, interviewed by Madhu Kishwar for Manushi, Narendra Modi through the eyes of Gujarati Muslims, Christians and ... (29 March 2013). Vathsala Mani, Manushi, "Personal experience of interaction with Modi" (21 October 2013). My husband said, if he faced any problems on [the] job, he would contact Modi’s office. Modi replied: "Not my office, but me directly." So much for the so-called intolerance of Modi towards people who held views not agreeable to his. What they narrated to me showed that the media, particularly, English[-]language media were lapping up one-sided news portraying Modi as the Demon and all his opponents angels. They told us about the earlier riots in which the Hindus were mostly at the receiving end. There were several instances of stone-throwing on Hindus passing through Muslim dominated areas of Ahmedabad. The governments of the day kept a blind eye to all this. All the suppressed passions broke loose at the Godhra carnage, and no government, Modi or no Modi, could have stopped what followed—despicable and condemnable as both the Godhra and post-Godhra killings were. Modi also ensured poor people’s access to justice, by streamlining the administration in the Secretariat. I was told, during Keshubhai’s time and before, the officers were not found on their seats even by 11 am, and they would nowhere be found in Gandhinagar by 3 pm. After Modi took over, the same officers were suddenly found on their seats 9 am to 5 pm, for fear of being reported to Modi, by the people with grievances to resolve. I have heard instances of Modi putting down some of his relatives who tried to exploit their relationship with Modi. Till this day, no allegation of corruption sticks on him. But to say a word in appreciation of governance reforms in Gujarat, or to credit Modi for having given Gujarat its first ever riot-free 12 years since independence, is to commit political hara-kiri – one is forever tainted with the colours of fascism. This intellectual terror created by the anti-Modi brigade pushed me to find out for myself the reason behind this obsessive anxiety about Modi. Maulana Vastanvi was forced to resign as vice chancellor of Deoband University simply because he shared the thought that Gujarati Muslims had benefited from the inclusive development policies of Modi’s government. Shahid Siddiqui, the editor of the Urdu daily, Nai Duniya, faced severe attack and abuse and was expelled from the Samajwadi Party for simply doing an interview with Modi in which Modi defends himself against various charges, [even though the questioning was] in no way soft. Every word that Modi uttered following the Godhra incident was twisted and distorted by the well-oiled misinformation machinery set up by the Congress and the Left. One cannot help but get the impression that Modi’s sympathy for those who were charred to death by anti-social elements at Godhra was held against him as a cardinal crime. An even more cardinal crime was that his government took prompt action and arrested and put on trial those who led or masterminded the Godhra killings. The fact that Modi did not try to underplay the seriousness of Godhra incident and condemned it as an example of anti-national activity made enemies of all those whose politics thrives on garnering the Muslim vote bank through inculcating a sense of permanent victimhood in such ways that even if Muslim criminals and terrorists are nabbed, they cry foul and dub it as an instance of anti-Muslim bias. It is the same mind-set that defends Kashmiri secessionists, guilty of unleashing ethnic cleansing of Hindus in the Valley but have never taken up the cause of Kashmiri Pandits, even though they were ousted from their homeland through violence and terror. The media tried bulldozing Modi into de-linking the post-Godhra riots and the Godhra incident but because he did not yield to that pressure, he was painted as a Hindu bigot. After this question I finally let out the Djinn of Godhra which has been disturbing me from past eight years and Mr. Modi as well, on whose mind Godhra has been looming for a long time. Mr. Modi paused for a little while and then started explaining to me in detail the events which happened on that day and thereafter. Such was his minute detailed explanation that I felt being transported to Godhra and Gujarat of those times. He gave a detailed description about government action on rioters, curfews which were imposed in Gujarat as soon as riots were started, the police action on rioters and many more things. He even compared the Godhra riots with the Anti-Sikh riots of 1984 and talked about the difference between the actions taken by the government in both the cases as soon as the killing started. Along with it, Mr. Modi even emphasi[s]ed on the fact that in Gujarat, peace was restored in most of the places within 72 hours of riots while in 1984 riots, nothing was done in the first three days, which caused dangerous losses to the minority community involved. Then Mr. Modi described the actions took by him, like dispatching immediate orders to reserve police for taking strict actions against the erring people, strongly dealing with casualties and finally providing for rehabilitation. S. Nambi Narayanan interviewed in "Wronged ISRO scientist: India will be safe in Modi's hands" Rediff (26 February 2014). Whatever the reasons behind dubbing Modi an international pariah and the subject of a diplomatic boycott involving both the US and the European Union member states, one conclusion was inescapable: it was a brazen attempt to pronounce judgment on the internal affairs of a sovereign country. Modi, after all, hadn’t been held guilty [of] "mass murder" by an Indian criminal court. Indeed, there were no charges against him then or subsequently. Yes, the Gujarat leader had been pilloried mercilessly by both his political opponents and the human rights lobby that has formidable international links. A political aversion to Modi was translated into the diplomatic censure of a man who held a [c]onstitutional position. It was a step too far and one that didn't lend itself to an easy U-turn. Swapan Dasgupta, The Asian Age, "A mighty fall from a moral high ground" (5 April 2014). Exactly what Narendra did between the ages of seventeen and nineteen, where he went and why, remains obscure. Scraps of information from his walkabout, however, can help assemble a rough itinerary and give a theme to his meanderings. Sitting at home today, he smiles and waves away questions about those years of wandering. But some hints emerge. More than anything else, it was a pilgrimage in the footsteps of Swami Vivekananda. By the time he left home, Narendra had devoured most of the Swami’s literary works, lent to him by a Vadnagar local, Dr Vasantbhai Parikh. Vivekananda had made a deep and, it would turn out, a permanent impression on the young man.... Narendra was turned away from the monkish life... Swami Atmasthanandaji told him that his destiny lay elsewhere, and elsewhere he should seek it. From that point onwards Narendra changed course. The making of Modi was about to begin.... Modi maintains that the core of his own character was always ‘innovation, new ideas’, and in a way that is an echo of what Vivekananda had brought to Indian culture and also to the West. Marino, Andy (2014). Narendra Modi: A political biography. Jashodaben, interviewed by the The Indian Express, "I like to read about him (Modi) … I know he will become PM" (1 February 2014). I had quit studies once I went to his place and remember him saying he wanted me to pursue my education. He would mostly talk to me about completing my education. .... We have never been in touch and we parted on good terms as there were never any fights between us. I will not make up things that are not true. ... In whatever I say, I do not want it to harm him. I just wish that he progresses in whatever he does. I know he will become PM one day!